Have product data and images added to catalog at one fell swoop, keeping it accurate and up-to-date. You don't need to painfully invent descriptions for dozens of your products, just rely on those that others have created for you. The module integrates your store with external product libraries such as Itemmaster, Aerse, Outpan, and Amazon, which contain high quality product descriptions, images, and specifications from official sources. 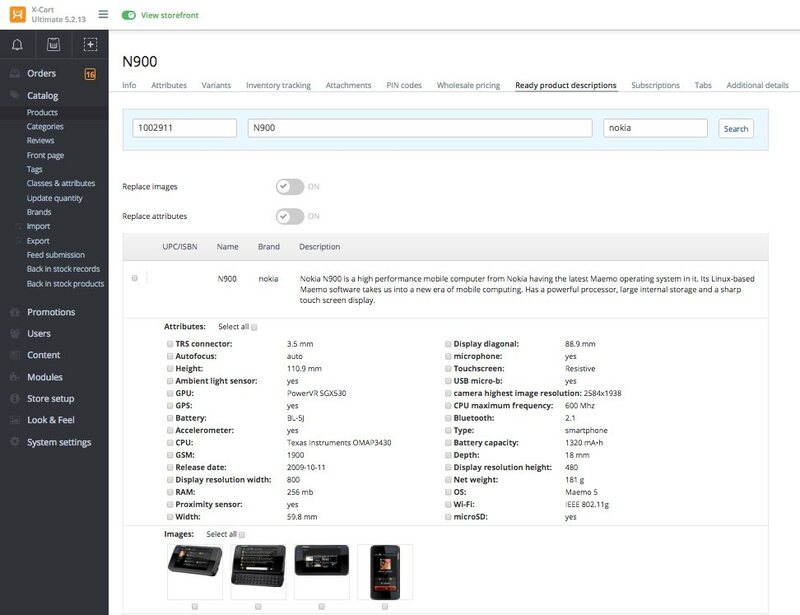 With this module enabled there appears an additional tab on the product details page, where you should specify the product name and manufacturer or UPC/ISBN to find images and description for this product. 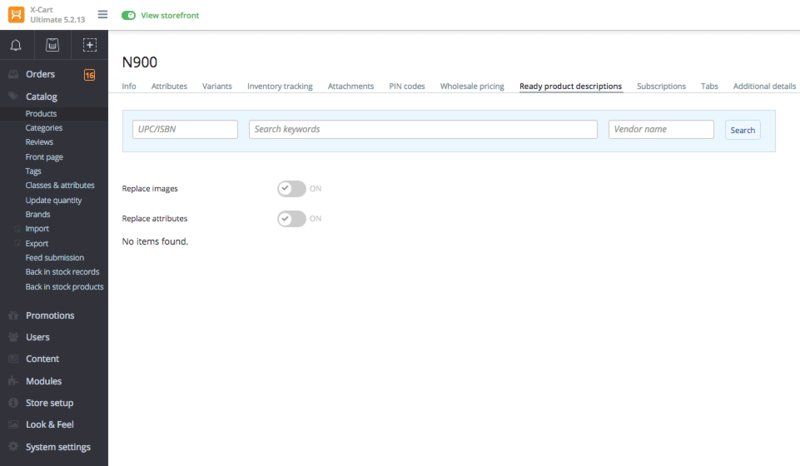 Also, the module adds Quick product creation page into the Catalog section in the back-end. On this page, the store administrator looks for a product description and then creates a product on the basis of this description. 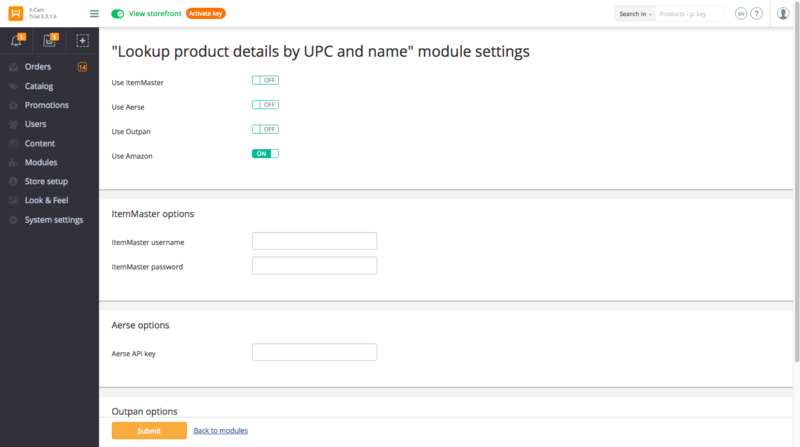 The module takes the following data from product libraries: name, images, description, attributes, vendor name and UPC / ISBN (if UPC/ISBN and Mnf#/Vendor# fields module is enabled).